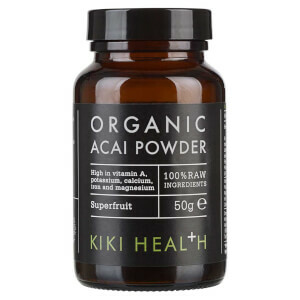 KIKI Health’s Organic Acai Berry Powder is a raw, superfruit health supplement that delivers a multitude of beneficial properties to give you a daily boost in vitality. 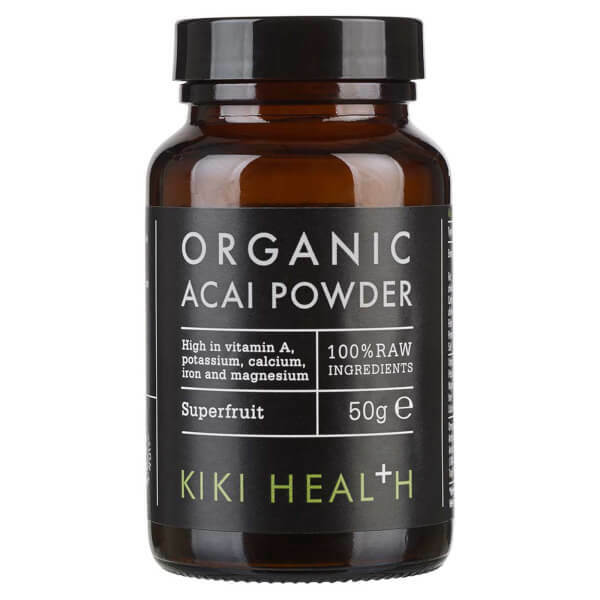 Sourced from the Amazon Rainforest, the Acai Berry has been freeze-dried and finely milled to retain optimum nutrients and capture the fresh juicy flavour. The powerful, antioxidant-rich fruit has been used for centuries due to it’s high nutritional value, packed with Vitamin A, Potassium, Calcium, Iron and Magensium, which help contribute to a normal metabolism and support the immune system. 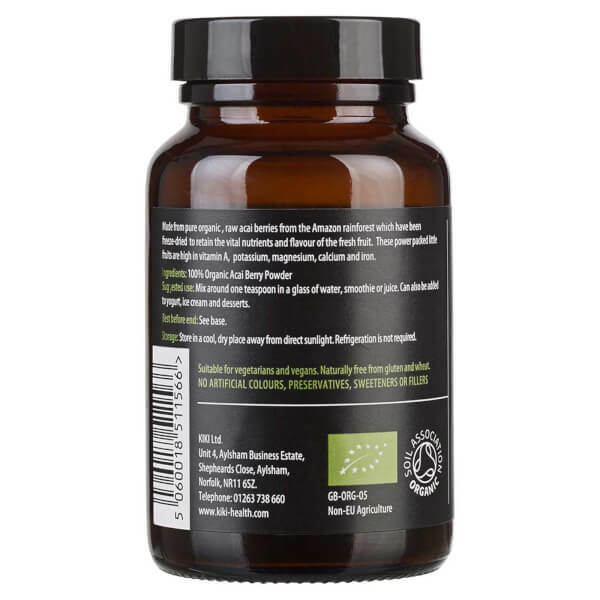 Suitable for vegetarians and vegans, the versatile powder is perfect blended with smoothies, sprinkled over desserts or simply diluted with water for an everyday lift.